LeadSquared is a Sales Execution Platform designed for medium and large enterprises. 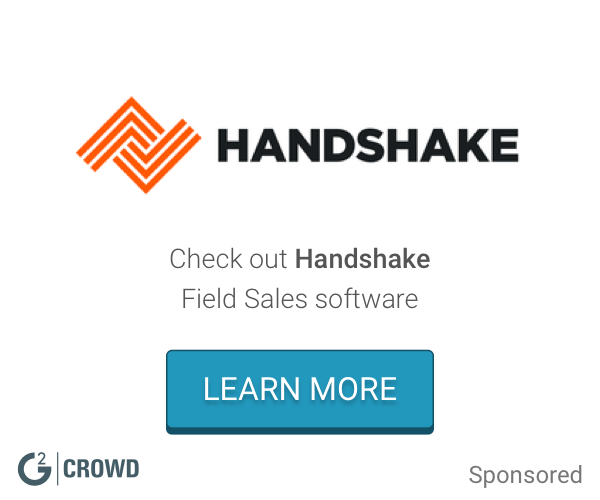 Work for LeadSquared Sales + Mobile CRM? Learning about LeadSquared Sales + Mobile CRM? I really liked the Smart Views Feature that lets me customise CRM based on my process. It has a very simple and easy to use interface. I also like the fact that I can use the CRM on my phone as well.The LeadSquared support team has been very prompt in their responses. The Dashboard/Reports section lacks customisation and would like to utilise that to its fullest potential. Also I would like to see improvements in the Deign of the CRM in future updates. We are trying to increase productivity and also creating a smooth process of how a lead is entered and how we cater to each one of them. Also they have helped me monitor performance of all the users effectively. "Leadsquared - Effective and Efficient"
Leadsquared comes with marketing automation and lead flow options that are built in, very dynamic and allow you to customize a great deal of a sales process or lead flow without needing to invest in a 3rd party developer. Everything from set up, the cost of each user, the launch, data migration and everything to get going was so much better than other CRM/Software solutions. Having experience with SalesForce and ACT I would view LeadSquared as a much greater alternative from a value standpoint, marketing automation, customization and daily activity. Email tracking is awesome, that fact that it comes with the most basic model is huge. I like the Automation part of the LeadSquared, where we can send emails and SMS based on the lead activity. We use automation feature of the Leadsquared to send emails and SMS based on the lead activity, lead created. Earlier we used to send it manually. It used to take more time to send each mail for each lead separately. Now LeadSquared automation automatically sends the emails and SMS notification for our leads. Sometimes voice calls won't record in LeadSquared mobile app. It happens once in a while. But support team is available to fix it. This is the best CRM and Marketing Automation Software. Earlier, we were using Microsoft Excel and Gmail. We don't know when the lead came to our database, we don't know what the lead is doing online. We started using Leadsquared for Lead Management.Then we explored other integrations to streamline our process. "Discovered a perfect solution for us!" We were looking for a solution which would cater to our specific needs and solve the problems faced by our Telecalling team, Customer Support team, Business Development team and the Marketing team. Leadsquared is a perfect mix of everything that you can imagine. I'm currently using it and the efficiency of all the users have significantly increased. There's not much to dislike. We were initially using Zoho and then moved to Leadsquared because of its exhaustive nature. Some more extra features in the Basic plan would not hurt them but benefit us a lot! Do check out all the features as per your industry and talk to their Sales team in details before making the purchase. This product will definitely do wonders for us in the Education industry. Like I mentioned, we were looking for a solution which would cater to our specific needs and solve the problems faced by our Telecalling team, Customer Support team, Business Development team and the Marketing team. Leadsquared is a perfect mix of everything that you can imagine. I'm currently using it and the efficiency of all the users have significantly increased. Since I'm the one using the Marketing automation I can vouch for its effectiveness and scope. The operability with existing channels for marketing automation. Leadquared seamlessly integrated with the existing channels used by us for providing us with the complete marketing automation via emails and SMS. The marketing automation through Leadsquared has enabled us to connect actively with the prospect along with the existing system. So far there is not much to dislike. The after sales service is good and are available on call for queries related to the product and the specific issues faced by the company. The issues and the tickets raised are addressed on time. "CRM to the mark "
Whatever I expected from CRM, I found all possible solution from Leadsquared CRM that too value for money. immediate action to any queries from the support team. Felt like dealing with any international company. truly professional. So far no any dislikes, but It is only 60 days I have started using fulfledged, Will be very early to comment on it. Beaing realestate company we got leads from many sources online and offline. I have been able to create all my leads at 1 place with proffessional welcome sms & Email. also do auto distribuion of leads as per per reset criteria's. I can analise which of my campaigns are giving best results. It is simple, cater all your requirement of handling the leads from different sources and their activities. The best part is the pricing. i have been using this CRM from last three years in NIIT University and it has evolved drastically based on the user feedback and requirements. they have this customer success team lead by Ashish who has given the additional support when you really needed. Not much, but the CRM is still in a improvement mode specifically at client's customise requirements. We are into education, and it is helping us to get engage with the leads and stay focused. "A highly effective CRM and automation solution with an efficient team to support"
Economical but effective solution for Small and Medium enterprises and customized, personal support provided by their Customer Success team who make sure they go the extra mile to provide the service which the client needs. The solution is not too hard to be trained on which makes adoption at call centres easier. Some financial services basic requirements had to be developed later which resulted in us working with some stop-gap solutions. Extremely good solution for small and medium sized companies and teams. Proper Lead and Sales Attribution, Business Reporting, Sales force automation and Drip campaigns. "No other tool provides these many matured automation features in this price range"
Leadsquared provides best of the automation features at a very reasonable price range. Specially they have recently launched an automation feature which was long awaited and zapier integration which helps you integrate with most of the apps available in the market. The best thing about leadsqured is it's very easy to setup and hardly takes 2 days to get up and running. Few of the features are still in the product roadmap and will be released soon. For example filters where "was not sent email" "Many opportunities linked with one account tracking" and "Bookmarking in automation". These are few of the features because of that it may little extra time to setup campaigns but still can be worked out with other hacks. Product team is very responsive and they did mention that these are the features are in the pipeline and should be released soon. We are using leadsquared for automation our complete sales and markeitng funnel. And the tool does it very efficiently. "Perfect sales and CRM solution for Startups"
StoreMore is an old customer for LeadSqaured and actually have seen this evolving. From day one the product is very stable and remains the same as and when they added more feature. The support is top-notch. Most importantly its UX is simple and features are very easy to understand. You can easily customize the default options to your needs. From technical aspect the documentation and help articles are really helpful. Today I think all important 3rd party plugins are in-build, like cloud telephony connector, because of which the team does all the daily task and jobs right from their leadsquared account and not required to login to any other portal. There APIs allows further integrations with your product seamlessly. In initial days(almost 3 years back) there where some key plugins missing from the product, like facebook ads integration, without which we had to make extra effort. We struggled a lot that time. But now many 3rd party plugins added and no issues so far. Also if you submit a custom requirement as per your business model (we being at there basic plan), they will warmly accept it as a suggestion and help you find an alternate way in the existing system for time being. And they might include what you need in future releases but not immediately. If you need it asap, you have no option but to wait or custom build using there APIs. I guess even for enterprise customers, it might take them time to roll out custom requirements as there product is huge now. There is a good scope of improvement in reports. Before deciding that this product doesn't meet your requirement, do have a call with there team. Most of the times its there and a new user might just not be good with customization. There team is really helpful and might suggest you better ways of doing things with proper reasons. We run marketing ad campaigns on various social media platforms life FB and google. Also landing pages hosted on the CRM. Leads from various platforms accumulates on CRM realtime and agents start following up with the prospects. For us, many a time, converting prospect to customer takes time. This is where LS allows us to easily follow up with them regularly manually or automatically with emails and SMSs. After they become customer, constant contact with them time to time and knowing there history becomes of importance. Also segregating customers based on various conditions(custom audience) help us send emails and SMS more precisely. Our agent make and receive phone calls right from LS as it is connected to our cloud telephony provider. Lead history details including call recordings are of great help. Benefits: When your agents does all there activities from one portal, including figuring out every possible lead history, the agents efficiency and satisfaction becomes very high. And that ultimately leads to satisfied leads and customers. "Complete CRM and Marketing Automation solution"
They have almost all features covered. There are a very few companies which will provide with all the features in a single product. Best part is the ease of use. I feel there is scope to improve the reports section. It not very customized according to requirements. There should also be a publisher dashboard which will help him see how his leads are performing. Also, the UI can be improved. Integration of leads from various sources like call center, landing pages, walk ins etc. on a single platform. Lead nurturing through marketing automation. "Stellar support and simple interface!" It has a very simple and easy to use interface. Coming from a CRM like Salesforce, Leadsquared is like a breath of fresh air that allows a high level of customisation and yet retains its simple, yet effective structure of information. We have to workaround the account level structure when we want to see all the leads from a single company. Go for it based on their stellar customer support team. 3. Lead scoring makes it easy to prioritize which lead to go after. ISPG technologies was using Leadsquared from a long time but never really utilized it. But things changed due to dedicated support by the customer success team there, they showed us how the tool can be best utilized it both in terms of marketing automation, and sales process and now it has been proving very beneficial for us.
" Leads Management Platform "
I like the user friendly interface where any beginner level of computer user can do easily manage their calls and data. Reports Tab, there should be bit of clarity in caption of reporting tab so user can easily identify the report you need. I firmly recommend business/enterprises to include this CRM in their business family to get better insight of progress in their business and can analyst on daily basis. Data management of leads, we have realized that we can easily sum up the raw color (our data) in a messy form and put it on Leadsqured CRM and within a minutes we have found a perfect portrait (Distinguished leads management). we can easily sort the performance of our sales person to get his/her credibility. "Leadsqaured is super easy to use and has excellent features"
I feel there are fewer design options for the landing pages. The UX needs to get a little better here to stay on par and facilitate quick lead conversions. A suitable CRM for the Indian market. Good plug-ins and integrations. Leadsqaured has helped to structure and set the exact funnels for the sales and marketing functions at my organization. Lead tracking and follow-ups are easy now with Leadsqaured. Lead Squared has helped us organize our sales leads very well. We are able to monitor our team very effectively. I am not allowed single Lead sharing across groups. The follow up task reminders, activity history and lot of other features have helped us in keeping up to date with our customers. Our sales team works in an organized manner. The reports helps us to monitor them properly. "The perfect toolkit for lead management & marketing automation"
Landing pages, multi-source lead capturing, lead management, marketing campaigns, and reporting all come together in one well-designed package. Reports need improvement. Allowing for customisation of reports based on self-selected fields and criterias would be good. Capturing all our leads in one single platform, assigning to Sales team for follow-up, and nurturing leads through marketing campaigns and automation. "Feature Rich Product with Outstanding Customer Service"
This is a very quickly evolving platform with a wide range of CRM and digital marketing functionality. We have been using it for 2 years and frankly it is hard to keep up with the pace of new feature introductions. Across it all has been a foundation of outstanding customer service and a desire to make it work for the customer. The fact that the unique record indicator is a email address, limits many of our use cases. For example, we sell education products. If a parent with two children wishes to subscribe for each child we cannot create two different records. "Best Customer Success team Specially a guy called Sujatali "
"Excellently crafted CRM for the field"
The app is intuitive and provided immediate value to the sales people on the field. It works offline which was crucial for our scenario. Our field sales team were able to grasp and adopt the app within a couple of weeks. The base functionality provided models leads, activities and tasks flawlessly. APIs, Webhooks and Customization options allow us to extend the product in any direction limitlessly. The web UI has few customizations and very limited support for images. Managing our field sales team. The Dashboard seems not been able to provide the proper information. "An amazing marketing automation and CRM Platform for startups and SMEs"
Their customer support is great and the interoperability with other services like Wordpress, Olark, GoToWebinar is useful. Not as many features, like A/B testing, and advanced form management. If you're looking to starting your marketing department brand new, this is one of the best platforms you could go for. It has every basic and intermediate feature you'd want. Our entire marketing automation, from Workflows to drip emails. The detailed information and journey one can gather about a lead. Nothing. Too smooth to complain. Few bugs here and there which can be ignored as they don't affect the workflow. LeadSquared is the backbone of our marketing success. Our conversion rates have skyrocketed, thanks to the flexibility in customising and personalising our messaging automatically for every prospect. "Powerful solution that provides valuable insight"
The reporting could be improved - more detail required. "Helping towards the success of our bussiness"
Understanding and implementing our exact requirements from Leadsquared team is what i feel they are the best in all means and time. I also prefer to denote about the Professionalism and relationship with their clients is no where i found in my career. I don't feel they not laid down anywhere. They are giving their best to make their client relationship in a hassle free way. I have been started with tracking out the mails and their reports initially. The reports which Lead squared team has implemented in a short period of time made my day. My Sincere thanks to Mr.Ashish , Mr.Anirudh and Mr.Ramakrishnan who helped me to resolve my queries during my training and implemention. "Good product, great after sales service"
THE TEAM IS VERY HELPFUL AND WE CAN CUSTOMIZE THE CRM AS PER OUR NEEDS. Best thing about it is user friendly interface and customer support services. No likely much sometime it take bit more time but that's fine. We are managing our whole lead flow with them efficiently. "Easy interface and assistance "
There are some features which I would like to see like Automated calendar appointment emails & automated messaging and automated voice-calling services. "Complete sales and marketing execution software for us." Great product.Helped yellowpam in process execution. We have been using for the past 1 year.success team has helped in proper implementation. Leadsquared should keep improvising their system.But really it's working out great for us. Helped streamline the sales process,stages and activities proccess, stages and activities increase our user productivity. Reports help us keep track of our conversion rates. "Easy to use & fast outcome"
"Our SPOC for all marketing efforts!" Supports lead capturing from various sources. CRM easy to use for our sales team. Great marketing automation features. Love the fact there is an app to go along with it. The landing page builder is also a great addition. Pricing could be reduced. Additional apps in "Apps Marketplace" should be made free. The tool is simple to use and loaded with features. They are always ready to add value to what the customer requires. It would be great if they could keep improvising on their services. Helps in various ways - 1. Lead generation 2. Knowledge and brand awareness development are 2 most critically influenced items. Its ability to capture leads from almost all the sources. The product is very user-friendly. Reporting section could have been improved a little better. Generating more leads with Leadsquared and helping sales team reach their targets with such ease and comfort. "Very effective and a user friendly CRM"
We use the Basic Module of Lead squared, its features and usability is very good.The Product Covers almost all the functional area one desires to have. The system becomes slow if number of Lead Sources are more. Effective use of the data and monitoring the performance. Leadsquared employees quick way to resolve and response for any issue. Some production related issue,like All members are visible in owner field, it should be restricted as per Group head. Telecom (Retail + ILL + Cloud services) lead generation. "Very simple but powerful CRM "
It has been a delightful experience using Leadsquared starting from free trials to implementation, integration & user training. Leadsquared is very simple yet powerful CRM for Startups trying to scale up business & optimising the resources allocations. "Nice Software and easy to use"
Enquiry coming to Leads Software trhough website. User Interface and Layout.. Its looking so old. "Great Marketo alternative for small-med business at a good price." Better intuitive interface that allows many that are not familiar with more complex tools be able to dive in and immediately use. Lead quality and where they are in the sales funnel, basically where are we losing money. Support System is really world class and I never face any issue in this. I am fine with this product. It's a good product. We are helping clients to centralized their lead and work on this lead efficiently. * We monitor all LeadSquared Sales + Mobile CRM reviews to prevent fraudulent reviews and keep review quality high. We do not post reviews by company employees or direct competitors. Validated reviews require the user to submit a screenshot of the product containing their user ID, in order to verify a user is an actual user of the product. Hi there! Are you looking to implement a solution like LeadSquared Sales + Mobile CRM?